These are the tools that I always have open and in front of me any time I work with Mexico civil registration or Catholic church parish records. And since I can only fudge my way through reading Spanish, these are the same tools I provide my Spanish-fluent father whenever he translates these records for me. Although he speaks, reads, and writes Spanish fluently–having been raised by his Mexican immigrant grandmother–these records are often written in old Spanish, or with terms not used by present-day Mexican-Americans. 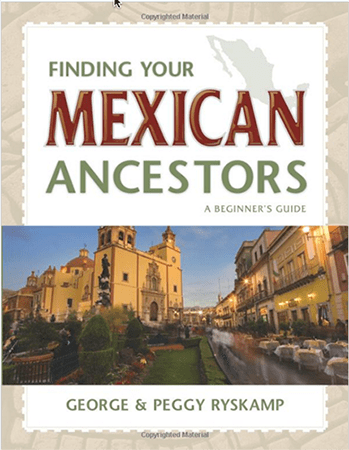 Finding Your Mexican Ancestors: A Beginner’s Guide by George and Peggy Ryskamp is a must-own item for your personal library if you research Mexican ancestry. George Ryskamp, J.D., AG, is faculty at Brigham Young University, and is THE authority on Hispanic genealogy. Published in 2007, I was hesitant at first to buy the book this year, because I knew that information about online collections would be non-existing or extremely outdated in the book. It is. The book discusses accessing these via microfilm. The fabulous digitized collections available online through FamilySearch and Ancestry did not exist in 2007. However, that is the only drawback about this publication, and it is a small one. The contextual history behind the major types of records, detailed explanations about each type of record, and the tools provided to help understand and translate the records is all still very relevant and valuable. I wish this book were available in ebook format so that I could always carry it with me (which is why I prefer to buy ebooks). However it is available in hardback and paperback from Amazon as well as other book sellers. Tools helpful for all types of records. Examples of each type of record, including transcriptions and translations. Mexican archives (what and where). Glossary of common terms used in historical records. Information about basic record types, including examples, sample transcriptions and translations, and common formats and phrases. Civil Registrations: Government-created Birth, Marriage, and Death records. Information and more advanced record types. Marriage Dispensations: Conducted by the diocese bishop or archdiocese archibishop. Census Records: Conducted by the Catholic Church and the federal government. Notarial Records:Legal contracts, such as wills, land sales, and prenuptial agreements. Colonial Records: Records created between conquest and Mexican independence, as well as records created in the current U.S. southwest when still under Mexican rule. This website is always open in my browser when I work with Mexico records. This website offers guidance in the deciphering of documents written in handwriting styles or alphabets no longer in general use. It concentrates on alphabets used between 1500 and 1800 in western Europe. Currently it offers instruction in English, German, Dutch, Italian, French, Spanish, and Portuguese; Latin and eastern European languages will be added in the future. The project has been spearheaded by Professor George Ryskamp, co-author of the book mentioned above. Genealogical Glossary: Common terminology, and their English translations, found in Mexican historical documents. List of Given Names: Common older Spanish names for males and females. This document has been very helpful for identifying names with which I am not familiar in present day or in English, such as my great-aunt’s name of Celedonia and her grandfather’s name of Silverio. 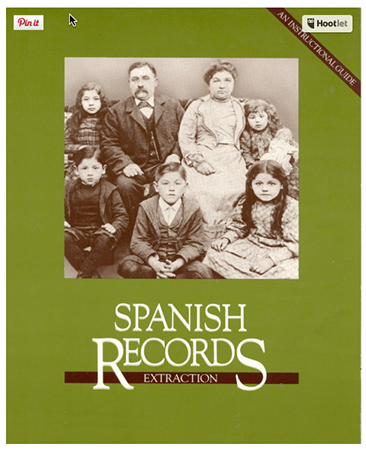 Information about specific record types, including sample transcriptions and translations, and common formats and phrases. Civil Registrations: Birth, Marriage, and Death records created by the government. Parish Sacrament Registrations: Baptism, Marriage, Pre-Marriage Investigations, and Burial records created by the Catholic church. Another resource that is always open in my browser, or on my iPad (since I have downloaded each PDF file), when I am working on Mexico records. Published in 1981 by the LDS church, this handbook is available for free online as a series of PDF files. Originally the manual for members of the LDS church who conducted and provided extractions for Mexico Catholic parish records, this out-of-print book is still a highly valuable tool for those conducting Mexican historical research. 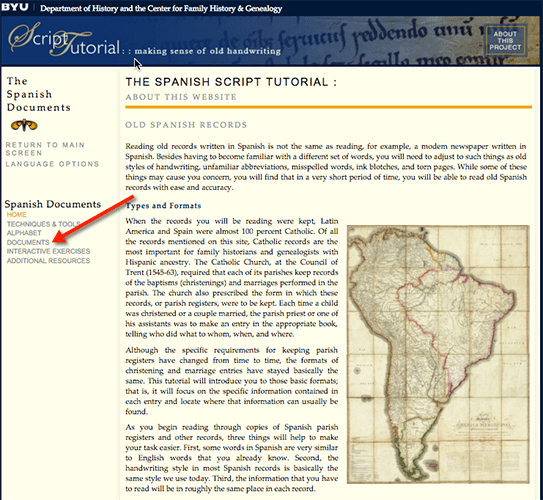 You will find that much of the material from this publication has been included in the aforementioned Spanish Script Tutorial. However, I do still like to always review both reference resources when reading and analyzing Mexico Catholic church records. And downloading the series of PDF files allows me to always have access to this manual, even when I do not have an internet connection. Tools helpful for all record types. Distinguishing between given names and surnames. 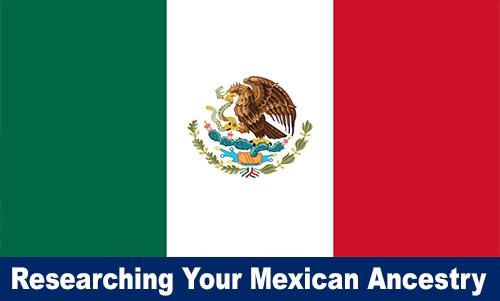 Have you discovered or even created other tools that assist your Mexican or Hispanic research? I’d love to hear about them! Please post a Comment below. Follow my personal family history blog at www.cjroots.com to see working examples of my methodology and strategies. My father—despite being raised by his Mexican-immigrant grandmother—never knew anything about his family history, other than that his father's family came from the State of San Luis Potosí and fled to the U.S. during the violent Mexican Revolution. For 13 years, I tried and failed to trace his lines back to Mexico. In early 2015, I started busting down those brick walls, and have continued to experience a landslide of success.